If you shy away from smiling because you don’t love how your teeth look, cosmetic veneers could be just what the doctor ordered. 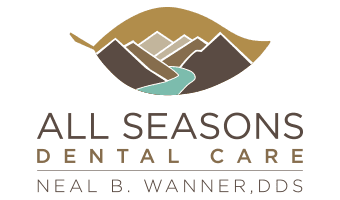 At All Seasons Dental Care, Dr. Neal Wanner restores the confidence of many patients in greater Seattle-Tacoma area simply by giving them dental veneers. 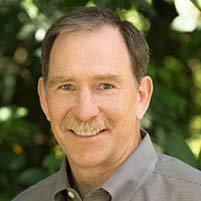 Call All Seasons Dental Care in Kent, Washington, or book an appointment online to feel good about grinning again. Also known as dental laminates or front crowns, dental veneers are natural-looking, thin shell coverings customized to improve the appearance and spacing of your teeth. Dr. Wanner often recommends porcelain veneers because they closely resemble healthy teeth in color and translucency while resisting stains very well. How do veneer treatments work? After he confirms dental veneers are right for you, Dr. Wanner administers local anesthesia in the service area of your mouth. Dr. Wanner then shaves enough of your enamel off to accommodate the thickness of your veneers. Next, he makes a precise impression of each treated tooth using a putty. Our lab uses your unique mold to create your veneers, sometimes casting a temporary set to help optimize fit and function if your teeth are especially misaligned or misshapen. After adjusting the shape, size, and color of your permanent resin or porcelain veneers, Dr. Wanner cleans, polishes, and scores your teeth to ensure the dental cement bonds well. He shines a special light to help it dry and set, then cleans the area. 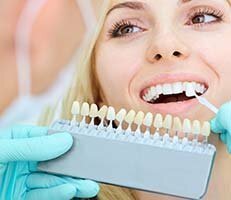 Does getting a dental veneer hurt? Applying the local anesthesia for a veneer procedure is very similar to numbing for a filling or crown. It will be done carefully, slowly and as painlessly as possible. Since veneers are usually thinner and less invasive than fillings or crowns they are usually also less sensitive afterward. Most veneers last about 10 years. Porcelain veneers may be a little more durable than resin ones, but your dental hygiene habits also affect longevity since veneers are still subject to some wear and tear, stains, and even cavities. Dr. Wanner recommends limiting your consumption of red wine, coffee, tea, and tobacco to keep your veneers beautiful as long as possible. If you think dental veneers might be the key to making you smile more, call All Seasons Dental Care or book an appointment online for a one-on-one consultation.